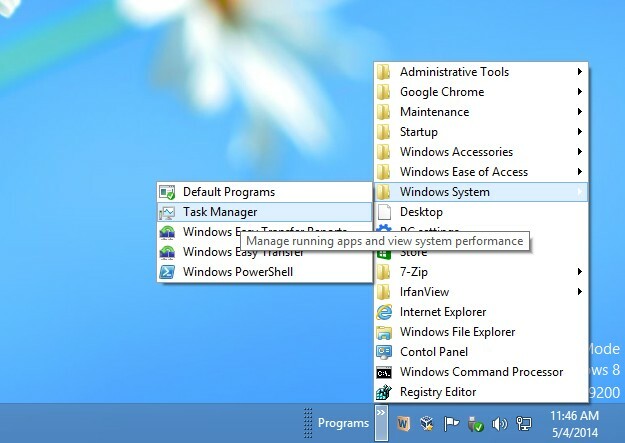 As well is known, beginning with Windows 7 there is no possible to set the classic Start Menu. 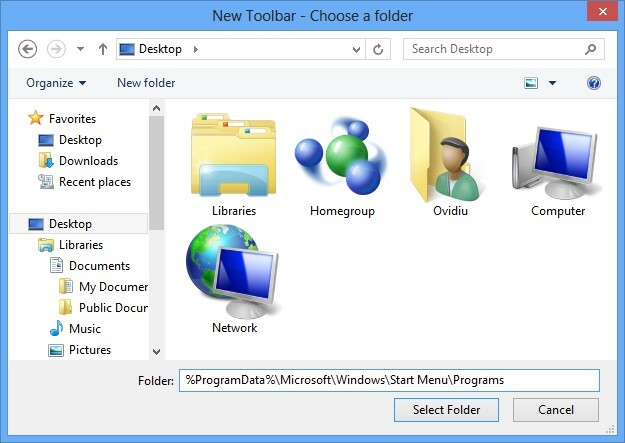 Moreover, in Windows 8 and other newer systems there’s no Start Menu at all. 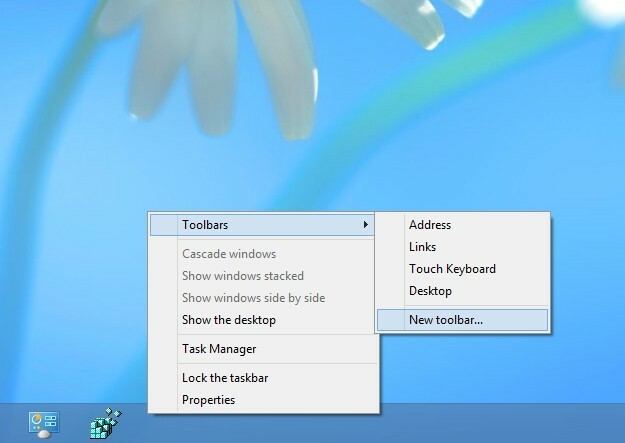 Right-click on the taskbar and choose “Toolbars/New Toolbar…” menu item. Now have a look in the right side of the taskbar. You can see a little button labeled “Programs“. Just click in that button and voilà… you’ve got a classic Start Menu! This entry was posted in Windows System and tagged start menu, windows on 2014.05.04 by Ovidiu Cucu. Use Recorded TV from public user, rename as Applications, add folders to this library and create a new toolbar in Windows taskbar.